Mother’s Day is around the corner! 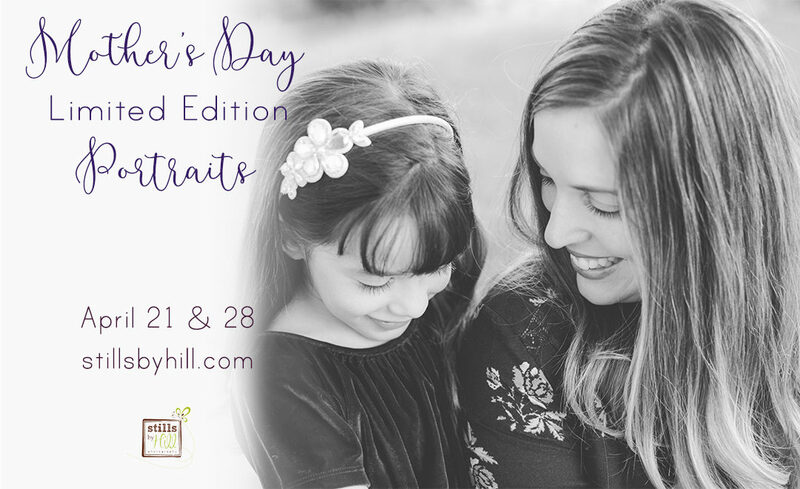 My Mother’s Day Limited Edition sessions are just like my regular portrait sessions except a bit shorter in length and all online ordering versus my in-studio ordering appointments. I also am including 5 printable portrait files with your session ($675 value) which you can use to print for your own personal use. Two dates available: April 21 and April 28. Sessions are later in the afternoon. Location will be either a park in east county or near Old Town.